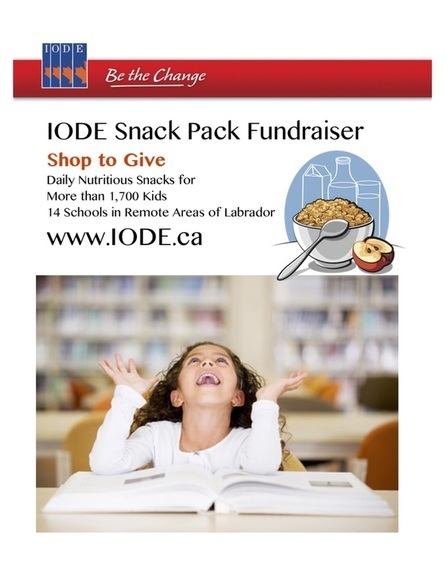 ​Purchase fundraising eGift Cards to shop in-store at any Indigo store or on their website and do something great for IODE Snack Pack. Click on the link to visit our Indigo Campaign Home Page and start now. Select the Indigo eGift Cards you would like to buy. Order Indigo eGift Cards for yourself, for family and friends or any gift giving occasion. Order Indigo eGift Cards for your own purchases and support IODE Snack Pack at the same time. You can make quick donations to an IODE program without shipping and handling expenses and enable the IODE program manger to purchase books for you. For more information about donating books this way, please contact IODE Canada. Proceed to the checkout. Use your preferred credit card for payment. Indigo eGift Cards will be emailed to you immediately; not a physical card. Indigo eGift Cards can also be used to shop at any Chapters, Indigo or Coles store. When you use your Indigo eGift Card, you will receive the full face value of the eGift Card. At the same time, IODE Snack Pack program will receive 15% of the value of your purchase. Thank you! Save your Indigo eGift Card to the Indigo App on your smart phone and spend it anytime you shop. Any unused portion of the Indigo eGift Card will remain on the card and can be applied toward future purchases. Indigo eGift Cards are not redeemable for cash and are non-refundable. Keep your email receipt. ​Terms and Conditions apply. Please contact Indigo Books for details. Click Here & Shop to Give Now! Please share our fundraising link with family and friends. ​Every Indigo eGift Card purchased will make a direct contribution and help IODE continue the IODE Snack Pack program. We provide daily nutritious snacks to more than 1,700 children in 14 schools located in remote areas of Labrador. IODE has funded this important program continuously since 1978.